For the first time, a historian of science draws evidence from across the world to show how humans and other animals are astonishingly similar when it comes to their feelings and the ways in which they lose their minds. Charles Darwin developed his evolutionary theories by looking at physical differences in Galapagos finches and fancy pigeons. Alfred Russell Wallace investigated a range of creatures in the Malay Archipelago. Laurel Braitman got her lessons closer to home by watching her dog. Oliver snapped at flies that only he could see, ate Ziploc bags, towels, and cartons of eggs. He suffered debilitating separation anxiety, was prone to aggression, and may even have attempted suicide. Her experience with Oliver forced Laurel to acknowledge a form of continuity between humans and other animals that, first as a biology major and later as a PhD student at MIT, she'd never been taught in school. Nonhuman animals can lose their minds. And when they do, it often looks a lot like human mental illness. Thankfully, all of us can heal. As Laurel spent three years traveling the world in search of emotionally disturbed animals and the people who care for them, she discovered numerous stories of recovery: parrots that learn how to stop plucking their feathers, dogs that cease licking their tails raw, polar bears that stop swimming in compulsive circles, and great apes that benefit from the help of human psychiatrists. How do these animals recover? The same way we do: with love, with medicine, and above all, with the knowledge that someone understands why we suffer and what can make us feel better. Very well done. I really enjoy listening to non-fiction on audio for some reason. It's just what I tend to gravitate towards. The writing in this one was done well - not too much scientific terminology, but enough to let me know the writer knows what she's writing about. And plenty of great anecdotes from her travels, from history, and from current events. The only real problem with non-fiction on audio is that you don't get a good idea about the use of references. No endnotes or citations available on audio, so I can't say for sure how much further research the author allows for. I found this one fascinating. I loved all of the animal stories Braitman told, although some were hard to hear. 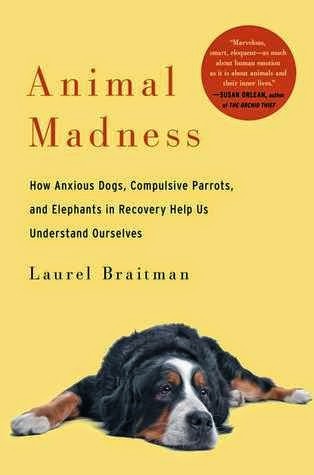 Since seeing Blackfish, I've been particularly interested in animals in captivity, and Braitman spends a good deal of the book dealing with the mental health issues that large animals in captivity face. 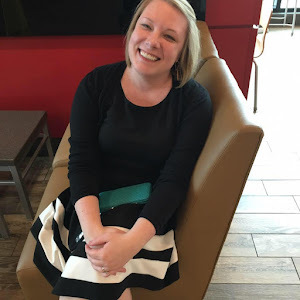 She also discusses the mental health issues, particularly anxiety, faced by dogs, cats, and other companion animals, and tells the story of her own dog, Oliver. I had no problems with the narrator, but she drove Luke crazy. She wasn't the best I've ever heard, but nothing that hampered my enjoyment of the book. I highly recommend this for those who love nature and animal writing, for those who enjoy pop science and psychology, and for those who are concerned with the welfare of animals kept in captivity and the relationships between animals and humans. My one word of caution would be that some of the stories told in the book do revolve around the mistreatment and abuse of animals that some readers may find disturbing. Thank you to Simon and Schuster for providing me with a copy of this on audio!